Norwegian will operate its brand new Boeing 787 Dreamliner on several European routes this summer, including London – Oslo. Norwegian’s passengers will also have the opportunity to experience the state-of-the-art 787 Dreamliner on selected services from Oslo to Alicante, Barcelona, Malaga and Nice. Users of Washington’s third major airport, Baltimore (after Dulles and Reagan) will be pleased to learn of the opening of a Holiday Inn at what was formerly a Comfort Inn. Completely renovated it offers a courtesy 24-hour shuttle service from the airport. The name Ealing may not be known to worldwide travellers but it is a London suburban town about halfway between Heathrow and Marble Arch. It is also the location for a new DoubleTree by Hilton, on the junction of the North Circular Road (Hanger Lane) and Uxbridge Road. Ealing Common Underground station is very close by (one change on the Central Line at Ealing Broadway for Heathrow, or take the slightly longer walk to that station for Heathrow Connect) and it is just four miles from the Wembley Stadium complex. 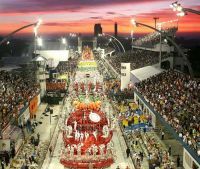 Sao Paulo (Brazil) is Etihad Airways’ latest route from Abu Dhabi and the airline’s first destination in South America. Wednesday 4 June 2014 is the date set for 23 Star Alliance airlines, plus Aer Lingus, Virgin Atlantic Little Red and germanwings to move into the brand new £2.5bn Heathrow Terminal 2 facility. Asked to comment by the BBC on plans by Hilton International to scrap room service BTN Editor Malcolm Ginsberg was sceptical. “Whilst I appreciate that hotels are looking at ways to economise I believe that this would be a retrograde step. Whilst typically Hilton is mostly a franchise operation nevertheless it tries to standardise the product wherever possible. If you are not certain you are going to get room service you might very well turn to another hospitality supplier", he said. 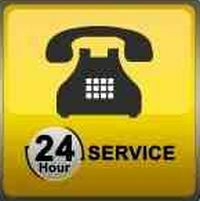 “Business travellers rely on room service for late night needs, meetings and breakfast". Accra is to be discontinued by Virgin Atlantic from 23 September. As predicted by Business Travel News Airbus plans to unveil the first British Airways' A380 during the Paris Air Show which begins next Monday (17 June). BA is due to take delivery of its initial A380, configured with 469 seats, in July. The aircraft is powered by Rolls-Royce Trent 900 engines. 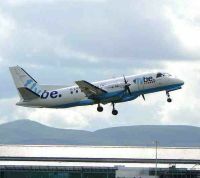 The airline has 10 on order with a scheduled service date set for Tuesday 15 October. 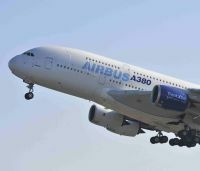 The airline has chosen the popular ‘Red Carpet Route’ to Los Angeles as the first route for the double-decker superjumbo. Flight time is 11½ hours, giving plenty of time for passengers to appreciate the quietness of the new aircraft. Steps by, in effect, Etihad Airways to establish a US customs pre-clearance facility in Abu Dhabi are being frustrated by Washington lawmakers. Whilst no American airlines are on the route, by its geographical position (cira 100 miles from Dubai) it offers an alternative route between the United States and the Gulf. 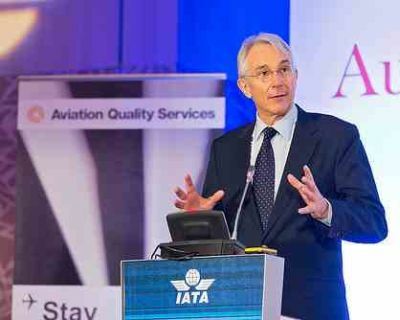 In spite of the shenanigans with Ryanair, which must be time consuming for the senior management, Aer Lingus is pushing forward with ambitious plans for 2014. Three Boeing 757s are likely to be acquired in a ‘damp lease’, usually aircraft plus flight deck crew from Dublin-based Air Contractors. 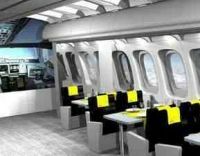 Vueling, now part of IAG, has joined forces with Hoteles Catalonia to create what it calls “a new accommodation concept” with Vueling BCN by HC, in Barcelona . 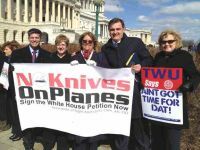 Plans by the US Transport Security Administration (TSA) to permit passengers to carry small knives on aircraft have been dropped after receiving criticism from flight attendants and the public that easing restrictions would increase flight dangers. One exciting new aircraft that will not be seen at Le Bourget during next week’s Paris Air Show is the Bombardier C series. The Montreal-based aircraft manufacturer, the world’s fourth largest, is known to be preparing the first development aircraft for its maiden flight, but this is now not expected until the end of June. 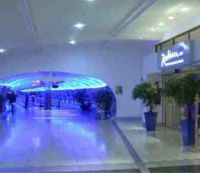 With the North Terminal largely rebuilt, and the entrance to the southern building transformed Gatwick Airport has turned its attention to completely remodelling its southerly Pier 1. Work has started to demolish the 1962 structure in a £180m project to provide passengers with a world-class airport. 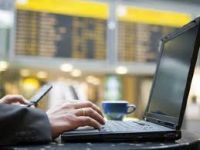 Business Travel News this week brings you three stories that may be of use for visitors, and also for companions not going to the show itself. 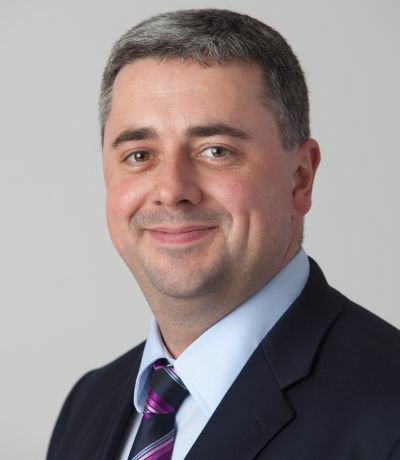 Scottish Passengers Agents Association (SPAA) President Kevin Thom has expressed the SPAA’s “real concern” regarding the recently-announced sale by Flybe of its 25 Gatwick take-off and landing slots to easyJet. As reported by BTN (see BTN 27 May) in all seven UK regional points could be affected. easyJet says it is looking at its 2014 programme. Work has begun to radically transform the Radisson Blu Hotel, Manchester Airport. The hotel, which originally opened in 1998, will be fully refurbished over three phases, with the first phase and the largest, already well under way. The large-scale project will touch all core elements of the property over the next two years. The hotel is part of the airport terminal complex, situated between T2 and the railway station and featuring a covered moving walkway. 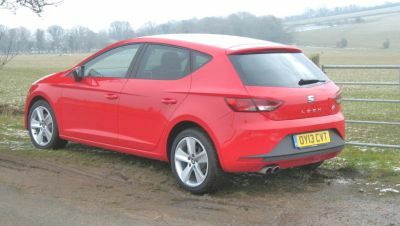 The engine was selected from among two competing models available for the aircraft, following a detailed evaluation of offers. 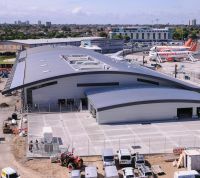 The extension to Southend Airport, taking its capacity up towards two million passengers per year, is on schedule to be completed by Monday 17 June when easyJet will deliver a fourth aircraft. On the Monday the airline introduces a daily (except Saturday) service to Berlin (Schönefeld) and four times a week flights to Krakow; plus on Thursday 20 June a summer only operation on Thursday, Saturday and Tuesday to Newquay. In total easyJet will serve 15 destinations from the East London airport this summer.